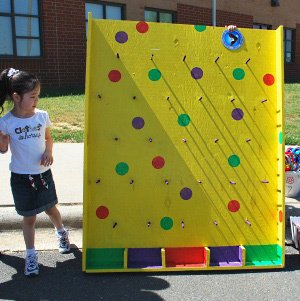 Plinko games are a great way to promote your business or school event, church fair or a fundraising event. This is a game everyone loves. Comes with game and 4 Plinkos. We recommend you have a small step still for the little ones to play. Size: Height: 5ft. Width: 4ft. Depth: 2ft.